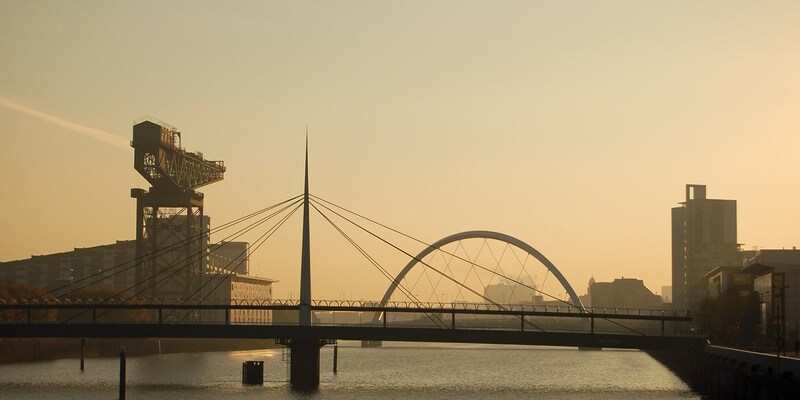 Glasgow is Scotland's largest city, yet is often overlooked by tourists in favour of Edinburgh despite its beautiful architecture, friendly inhabitants and lively nightlife. Discover the city's fantastic food and drink scene, from famous fine dining venues to tiny local gems. I only lived there for four years, but Glasgow is still my favourite city in the world. It's cheap, for one thing – particularly compared to London, where buying a pint first requires you to secure an overdraft extension – but, more than that, it's a city with its own sense of humour. I remember a time at Glasgow airport when a stern security guard left his post and strode towards a tourist clutching a large souvenir multipack of Walkers. The tourist looked terrified and we all held our breath, only for the security guard to look him up and down and ask 'You got enough crisps there, aye?' in a deadpan drawl before winking at us and sloping back to his desk. While Edinburgh, with its selection of landmarks, Michelin-starred restaurants and world-famous festival attracts more than its fair share of tourists, Glasgow is hugely underrated as a holiday destination. 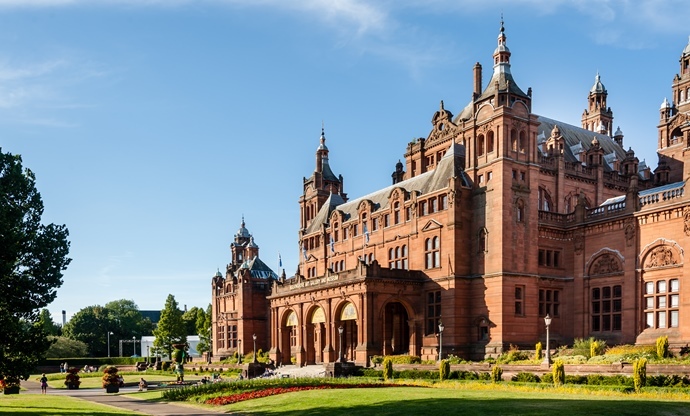 Alongside its beautiful parks, museums and breathtaking architecture (in the West End alone you'll find Alexander 'Greek' Thomson buildings rubbing shoulders with work from George Gilbert Scott and Charles Rennie Mackintosh) the city has a food and drink scene as lively as its inhabitants. Read on for some of the best places to eat, drink and shop in Scotland's largest city. The University Café - Despite its name, the University Café is actually a greasy spoon that has been a West End institution for decades and has little to do with the university (although, admittedly, has served thousands of hungover students in an unofficial capacity over the years). Part of its charm lies in the interior, which remains largely unchanged, although it’s the bargain fry-ups and famous homemade ice cream that keep generations of Glaswegians coming back. 87 Byres Road, Glasgow. Closed on Sundays. Ranjit's Kitchen – Relatively new, this Southside Punjabi deli already has a firm following in the local community and beyond (and if it brings lazy students trekking over from the West End, you know it's got to be good). The place is small and family run – you will always find the eponymous Ranjit in her kitchen, while various members of her family run the front of house – with a daily changing menu of curries, dahl and specials alongside pakoras stuffed with homemade paneer, silky soft rotis and freshly fried samosas. Philadelphia – I'd be doing you a disservice if I didn't include at least one chippy on this list, and Philadelphia is beyond doubt the pick of the bunch. With Scottish seafood among the very best in the world, a fish supper from Philadelphia – who also offer a ‘supperette’ for those with smaller appetites – will be an experience you'll never forget. Vegetarians, too, need not feel left out – six golden potato fritters will set you back less than £3. 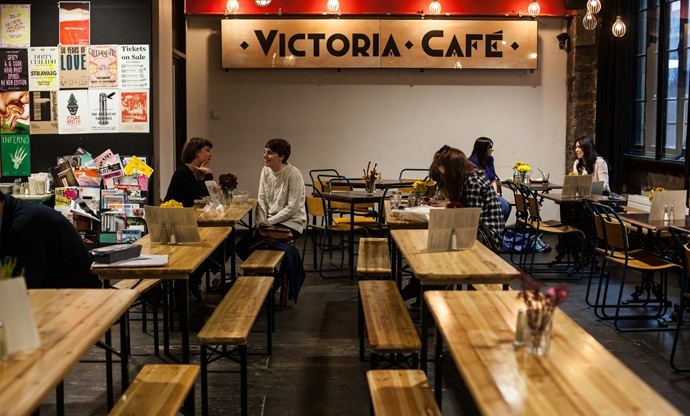 The Vic Bar and Café – While the pinnacle of Glasgow University catering was a slightly crumbly Empire biscuit, the Glasgow School of Art puts the city's other academic institutions to shame with its thoughtful menus – how many other student unions list an Omelette Arnold Bennett on their brunch menu? – at astonishingly reasonable prices. Non-students are always welcome here and you'll find plenty of them, particularly in the evenings sharing cheap plates of street food (four for £12.50) and several of the punchy house cocktails. Mono – There are no shortage of vegan pubs and cafés in Glasgow, but of them all Mono is considered to be the best, with a varied and frequently changing menu of snacks, meals and desserts completely free from animal produce. The food here is inventive and well executed; with dishes like Smoked tofu bánh mì and Roast aubergine lamachan you know you're in the safe hands of a chef who clearly has a passion for food, while a towering cheesecake with chocolate fudge sauce is on hand to silence anyone who dares dismiss vegan cuisine as rabbit food. Record store Monorail Music also sits under the same roof, perfect for some post-lunch rifling. Stravaigin – It was tempting to list sister restaurant Ubiquitous Chip here, with its picturesque Ashton Lane location and famous Alasdair Gray murals, but Stravaigin pipped it to the post on a dining perspective for its innovative ‘Scottish fusion’ cuisine. Menus routinely change to incorporate influences from all over the world, with quality Scottish ingredients remaining central to every dish. 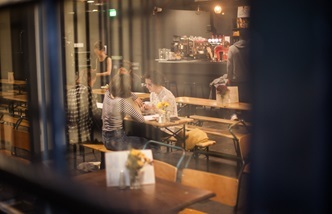 Like all good restaurants provenance is key, and the menu proudly name-checks its local producers and suppliers (including George Mewes for the expertly curated cheeseboard). Brian Maule at Chardon d'Or – Glasgow hasn't held a Michelin star for over ten years, but that's not to say the city is without options for fine dining. This eponymous restaurant from La Gavroche alumnus Brian Maule aims to combine classical French techniques with premium Scottish ingredients, with a six course tasting menu coming in at a bargain £59.50. Mother India's Café – Fans of quality Indian food are well catered for in Glasgow – this is, after all, the city that lays claim to the invention of chicken tikka masala – but this lively café deserves a mention above most for its innovative 'Indian tapas' menu. The selection of dishes is extensive, with the restaurant encouraging its customers to 'try a little and taste a lot'. The larger Mother India restaurant (which is equally well-regarded) is a short walk down the road if you're in the market for full size plates. Sichuan House – Unlike the number of other city centre Chinese restaurants, Sichuan House doesn't simply churn out tray after tray of gloopy beige food. Instead it showcases authentic regional Chinese cuisine, warts (or, in this case, offal) and all. Try the hot and chilli frogs legs and sweet vinegar jellyfish if you're feeling brave, or opt for braised pork belly, fried beef with cumin or a fresh Scottish lobster in spicy Sichuan sauce. Crabshakk – Finnieston has become unashamedly trendy recently, but Crabshakk has been a popular fixture of Argyle Street for years before the unnamed cocktail bars and craft beer havens moved into the neighbourhood. Crabshakk is a tiny restaurant with a menu to match, but in a way that makes you feel reassured rather than restricted. As the name suggests, this restaurant is all about celebrating quality Scottish seafood – fresh oysters, home-cured gravadlax, crab cakes and vast plates of fruits de mer. Advance booking strongly advised. The Belle – Small but perfectly formed, this West End establishment has all the trappings you could want from a pub, including a roaring fire, a multitude of dogs and a rotating malt of the month. Perfect for a hot toddy and a game of chess during the seemingly never-ending Scottish winter. The Old Hairdressers – Run by the same friendly staff as Stereo, the vegan café and late night bar just across the lane, The Old Hairdressers has an altogether more intimate atmosphere. The venue is a gallery and performance space as well as a bar, with an emphasis on smaller, experimental acts. The Pot Still – Widely regarded as the city’s finest whisky pub (and there’s certainly some tough competition), The Pot Still stocks over 600 varieties including some which are extremely rare. Located in the city centre just minutes from Central Station, you’re likely to find it brimming with locals, tourists and whisky aficionados alike. If you’re new to whisky try ordering a 'hauf and a hauf'; a half measure of whisky and a half pint of lager or beer. The Rum Shack – With a famous hot sauce, vibrant decor and over a hundred different rums the only thing that's missing here in Glasgow's piece of the Caribbean is any semblance of decent weather. Many of the city's most popular DJs are now doing residencies here in the bar and club space, adding to the fun, friendly atmosphere. Jerk meat and fish is available fresh off the barbecue, making this is the sort of place you come in for a quick drink and end up stumbling out of three hours, six rums and several serving platters later. George Mewes – An artisan cheesemongers offering a refrigerated haven for lovers of fine cheese. 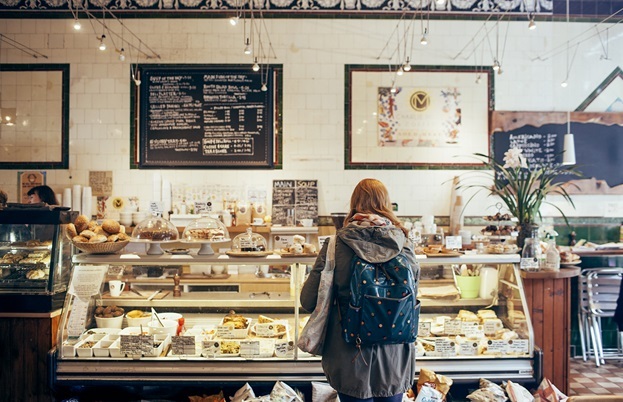 From local Scottish cheese to premium varieties selected from around the world, this shop also stocks speciality items such as mixed milk and vegetarian cheeses along with oatcakes and chutneys. Roots, Fruits and Flowers – With a branch in both Woodlands and Finnieston, this jauntily named florist, grocer and deli keeps health-conscious inhabitants of the West End well stocked in all sorts of virtuous produce. Freshly baked loaves are also available, along with a range of fresh salads and deli items. It's easy to while away a long time in the grocer next door (despite its relatively small size), and the friendly staff leave you to prod, poke and sniff the fruit and vegetable selection to your heart's content. Bakery47 – Impressive Victoria Road bakery offering fresh loaves, pastries, traybakes and celebration cakes in a variety of interesting, innovative flavour combinations. 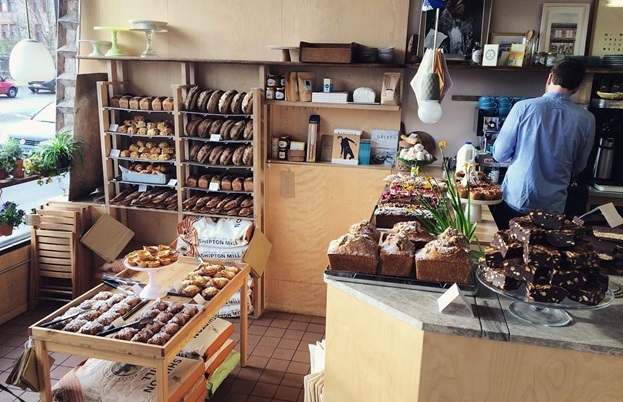 Sit in is available with coffee from various guest baristas and craft workshops and pop ups are frequent, but this is a fully working bakery so it’s worth double checking opening times on the day as they are subject to change. In the east of the city near the stunning necropolis is the Drygate craft brewery, offering brewery tours and a superb range of Scottish and international beers in the attached bar. If this isn't enough to tempt you they also offer people the opportunity to make their own brews: the brewing studio can be hired by the day for you to make your own under the watchful eyes of Drygate experts. The go-to place for the city's bravest cooks all year round, the Lupe Pintos spice deli on Great Western Road also runs a yearly Chile Cook Off across various venues in both Edinburgh and Glasgow. The Òran Mór is worth a visit for the building alone, as the ceiling of the former church is covered in a vast mural by artist and novelist Alasdair Gray. 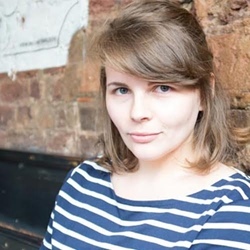 Interiors aside, the pub and theatre’s famous Play, Pie and a Pint programme has won several awards, and with tickets ranging from £10 - £14.50 it’s a bargain way to while away an hour or two on a rainy day – and let's face it, there are no shortage of those. To the uninitiated the nuclear colour and indescribable flavour of Irn Bru can be something of a shock, but for many this ‘fizzy juice’ is a go-to source of refreshment – even first thing in the morning. Enter into the spirit with a retro Irn Bru ice cream float from the Rio Café in Partick, or try Bar Bloc’s Irn Bru pulled pork – the latter also offers an ice cream made from Buckfast, the tonic wine which fuels the city’s lively nightlife.